The Nurturing Paw Subscription Boxes Offer Healthy, Holistic Alternatives for Your Dog! 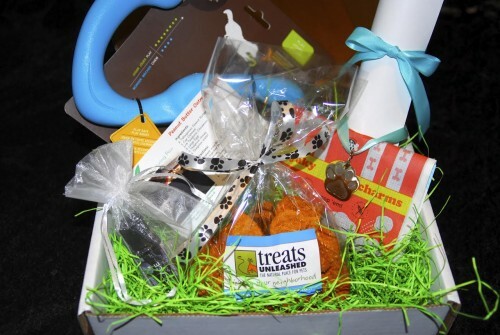 Monthly subscription boxes have become extremely popular, because what pet parent doesn’t love to receive treats on a monthly basis for their pups? But, wouldn’t it be great if you could find a monthly subscription box that has holistic choices including essential oils, crystals, AND treats and toys? Well, The Nurturing Paw offers just that and more. As dog lovers, the founders of The Nurturing Paw spent years searching for the best alternatives for products and information that provided the right choices for their dogs when it came to their health and wellness. What is The Nurturing Paw’s monthly subscription box? The Nurturing Paw’s monthly subscription box offers a new, healthy alternative to products and information for dogs. Their boxes, referred to as “Care Packages” include all natural treats made from scratch, high quality toys made in the U.S., holistic items and healing options recommended by a team of veterinarians. The Nurturing Paw’s monthly boxes come with items ranging from essential oils to homemade dog treats! Each month includes a different essential oil that is reviewed by a team of veterinarians, and includes instructions on its use and application. Each monthly crystal has a unique use. Crystals tend to enhance energy levels in dogs and boost the immune system, which will improve your dog’s health and speed up the healing process. Crystals are also very helpful in reducing pain and inflammation to create a calming effect on your dog when anxious or stressed, along with numerous other uses. Each month will include a guaranteed tough dog toy that is also flexible, making it safe for dogs to fetch and chew. It floats, it’s recyclable, and is made in the U.S.A. Made of zogoflex, it’s extremely strong, BPA free, non-toxic, eco-friendly and FDA compliant. But most important your dog will love it so much; they’ll play with it all day long! Each month will include all natural treats made by Treats Unleashed which are baked from scratch daily. Each recipe was developed by one of their family members with a PHD in food science and have been specially formulated for dogs using only human-grade ingredients! The treats don’t have any artificial preservatives, chemicals or refined sugars making them low in fat and sodium! You will receive a featured healthy homemade treat recipe. All of the recipes are approved by their own dogs to ensure yours will enjoy them! They also encourage their customers to submit their favorite healthy homemade treat recipes, and when used, the customer will be recognized on their website, and their recipe included in one of their boxes. Each month you will receive a surprise gift for your or your dog as a special “thank you” for your subscription. Each box also includes instructions, which give you detailed information on all their items and the best way to use them. It really shows you how much thought and love is put into every single box! Karen Finkle and Debbie Miller, founders of The Nurturing Paw, are passionate about providing exceptional products and information to increase awareness of healthy alternatives for your dog. By offering an environment of learning, they are dedicated to empowering you to find options to assist you in increasing your dogs’ wellness and quality of life. They also feature a team of veterinarians on their website that specialize in holistic practices such as chiropractic, acupuncture, and massage therapy. Visit The Nurturing Paw to view videos of each of these treatments being performed on dogs by the veterinarians. 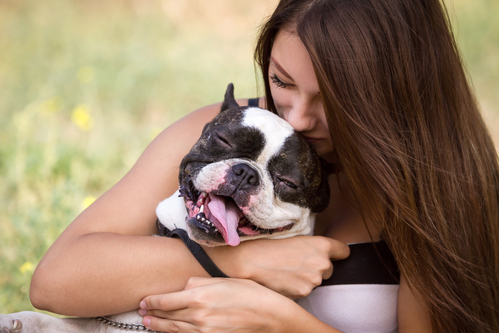 They’re so confident you’ll love their boxes, and look forward to receiving your comments about the products, and encourage you to submit photos of you and your beloved dogs to share on their website. Make sure to get your dog(s) a monthly subscription box from The Nurturing Paw . With the holistic healing items, great treats and toys, you and your dogs will love the monthly goodies: The Nurturing Paw!